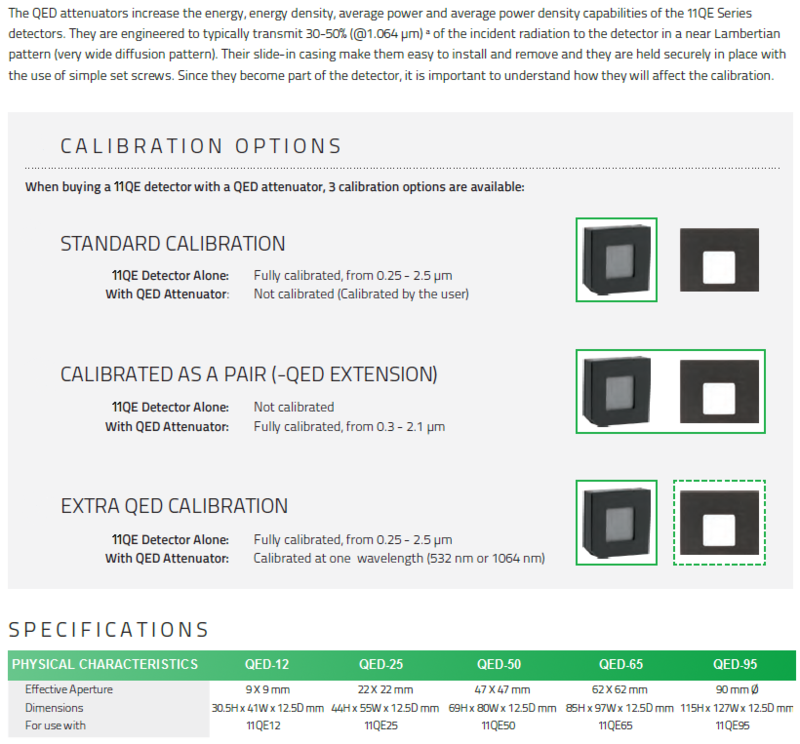 11QE12 laser energy detectors can measure energy up to 3.9 J (with attenuator), max repetition frequency - 6000 Hz. 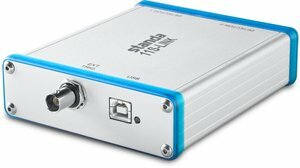 Low noise level - just 10 µJ. Effective aperture - 12 mm square. These detectors are compact and convenient to use. They are suitable for many OEM, manufacturing and laboratory applications. ** Also available on special order: The Extra Long Pulse Series 11QE12ELP-MB for pulse widths up to 2 msec, custom-tuned for rep. rate, sensitivity, and pulse width. a. 0.308 - 2.1 µm with QED Attenuator. b. Detectors with the MT coating can be used within the range 0.19 to 20 µm, however the absorption in the IR wavelengths decreases significantly. This, in turn, reduces the sensitivity and increases the noise level. c. Not exceeding Maximum Average Power. d. Increasing pulse width increases the maximum measurable energy. e. Nominal value, actual value depends on electrical noise in the measurement system. f. Load: 1 M&Omh; and ≤ 30 pF. g. Maximum output voltage = sensitivity x maximum energy. i. At 3 W. Maximum Average Power Density is 10 W/cm2 @ 5 W for -H versions.